PVC homemade mister by IamGutter on Instructables.com. Who would have thought that the first week of September would bring a heat wave in the 90’s for many states? With many of the public pools closed after Labor Day, people have to be a bit creative. Especially if they lack air conditioning. This Frugal Gal has a short list of criteria for posting ideas – it must be easy for the average non-creative person and the cost of the project must be low. 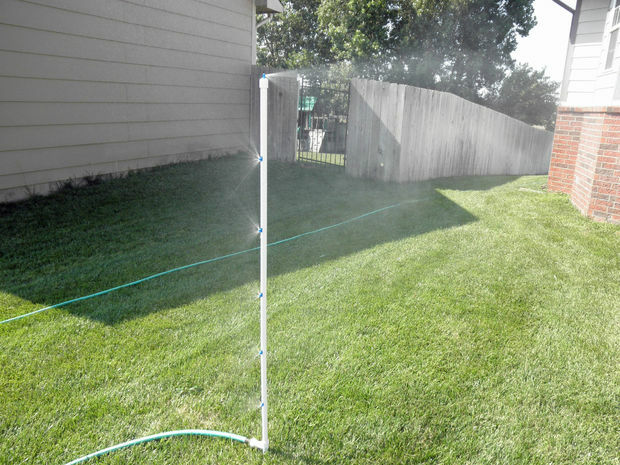 It’s the perfect time to grab the last of the kiddie pools and sprinklers at your area store. Most are marked 50 – 75 percent off. The one below gives not only the kids a chill spot, but parents can float in a rectangular pool with just two feet of water. 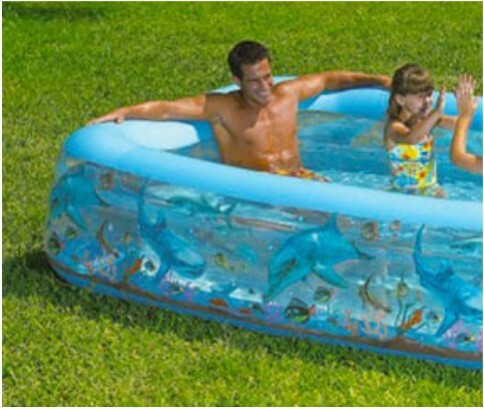 Rectangular kiddie pools have leg room for adults too! Image from ikoala.com.au. Obviously if you live close to a lake/pond you may want to take that route. But again, because of many lifeguard posts ending after Labor Day weekend, you need to make extra sure you’re safe. The best bodies of water to visit are ones you’re already visited. Canals and rivers aren’t recommended unless they have a known safe swimming area. Another idea for staying cool for several hours is visiting a mall. They’re air conditioned, have food courts, or coffee lounges. 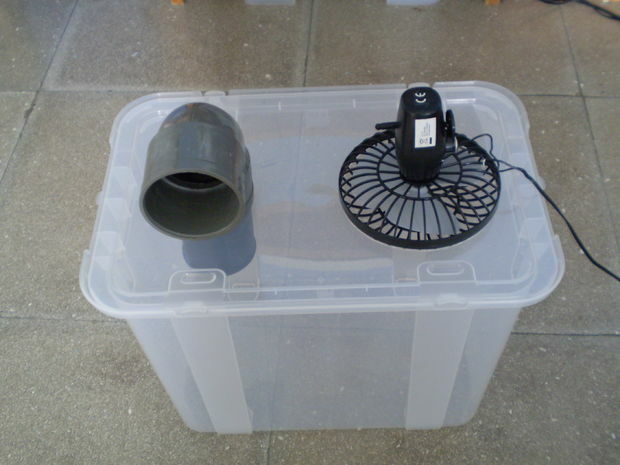 This entry was posted in How-to-Make Ideas, Uncategorized and tagged heat stroke signs, Heat wave, Homemade, pool, sprinkler, staying cool without air conditioning by thewritegirlforthejob. Bookmark the permalink. That upright mister looks particularly inviting……….